In the previous section, we talked about what Object-Oriented Programming is and what are its key concepts or features. We defined them in a very brief and formal way. As I promised that we will discuss each of those in details, here it is. I will try to be as natural as possible. 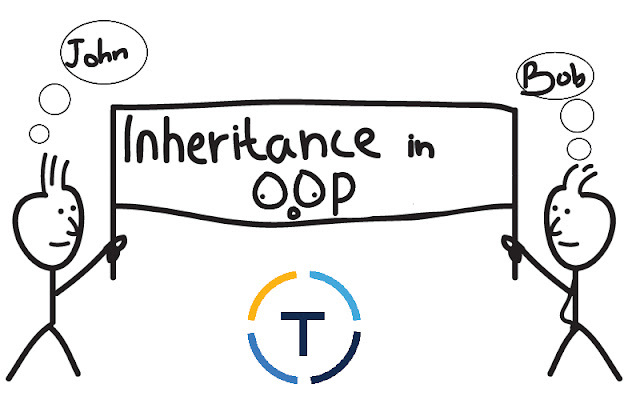 Inheritance is that feature of Object-Oriented programming which allows developers to borrow code from a prototype (class) and extend it, by adding more properties to it and behaviors to manipulate those properties. It reduces the size of the code with a big margin by creating is-a relationships between objects. This line might sound confusing but don’t worry. You will see in the coming section that how it reduces size of the code. The more common properties and behaviors a program have, the more usable inheritance will be. It allows you (the developer) to implement the real world parent-child hierarchy in a computer in a robust way. Here, I will tell you all I know about inheritance, how to implement it in Java and then where to use it. Above, I said that inheritance allows developers to implement the parent-child hierarchy in computers like the real world. Inheritance is actually based on the parent-child concept. It has the terms ‘parent’ and ‘child’, which we will define each in the context of OOP but first let me ask you a question. Who is a parent and who is a child, in the real world? I am sure you will have an answer but if you don’t have, I am happy then that my posts are being read far from the earth. Alright, let’s take our topic seriously. A child (human) inherits traits from their biological parents like their physical appearance. Children also have access to the property of their parents and have the right to use it unless the property is private to their parents. For example, let’s create a scenario, an inheritance story. John is (a) son of Bob. He resembles his father in many ways because he is his son. Gregor Mendel has explained this through his work on pea plants. Anyhow, He (John) lives with his dad and often drives his car, use his shoe polish, towel etc. But John does not have access to his dad’s private mailbox or Facebook account or anything else which is private to his dad. John also goes to school and gets assignments from his teacher. His dad loves him and helps him often times to complete the assignments but he does not take him with himself to the parties at bar cuz those are private (not for kids sort of party) and John is only 13. Note the boldface is-a relationship and the things John have access to or what his father does and does not for him. You might have noticed that John can use or know about only the non-private things that his dad own or does. Why? Because they have a relationship between which have its own restrictions. Nobody else can use those property (i.e. those are protected). Now, let’s see these terminologies or concepts or whatever you want to call it, in Object-Oriented Programming. If you are here, it means that you know what a class is and what an object is. In case you don’t, go here. In inheritance, classes have is-a relation. The class, which inherits from other class(es) is called child class aka subclass, derived class or extended class and the class which the child inherits from is called parent class or super class or base class. We will use child-parent notation throughout this blog. Like the real world, a class can have many child classes and a child class can have many parent classes. You will see a single example for each case in the next section. The parent class can have private, protected and public members and so can have the child class. The child or derived class have access only to non-private (protected and public) members of its parent class(es). Different languages support different types of inheritance. For example, Java supports single and multi-level inheritance while C++ supports single, multiple and multi-level inheritance. Each language has its own syntax and keywords but the basic concepts are the same. You will need to master only one and then you will be able to go with anyone with a very little work. You might be familiar with the words single, multiple and multi-level inheritance. If you are not, no worries. These are different types of inheritance which you are going to learn in this section. Many authors/programmers include more other types such as hierarchical inheritance, multi-path inheritance and hybrid inheritance in their introductory words to the types but I am not including any other than the basic three types here. In my opinion, the other types are formed by combining the basic types (single, multiple and multi-level). Learn the basics well, it will be easy to learn the rest. Do you remember John, the main character of our inheritance story? Let’s add more people to his family. John have a caring mom, Sarah and a loving grandpa, Stephen. We do not need to talk about what they can do or what they have for now. To depict my point clearly, I am including an infographic. The child class in Single Inheritance has a single parent. The child class in Multiple Inheritance has more than one parents (at the same level). The child class in Multi-level Inheritance has a parent and the parent class itself inherits from another parent class. Bullets, above are not standards. Variation are possible such as in single inheritance a parent class can have many child classes and a child class can have multiple parent classes at the same level in multi-level inheritance. I hope it makes sense to you. Alright, we are done for today. You are doing great. Keep learning, sky is the limit. There are great content out there which discuss inheritance further in details. I will encourage you to go for it and study every detail until you feel comfortable with it while coding. You can find some helpful stuff here. Alright, we are done for today. You are doing great. Keep learning, the sky is the limit. 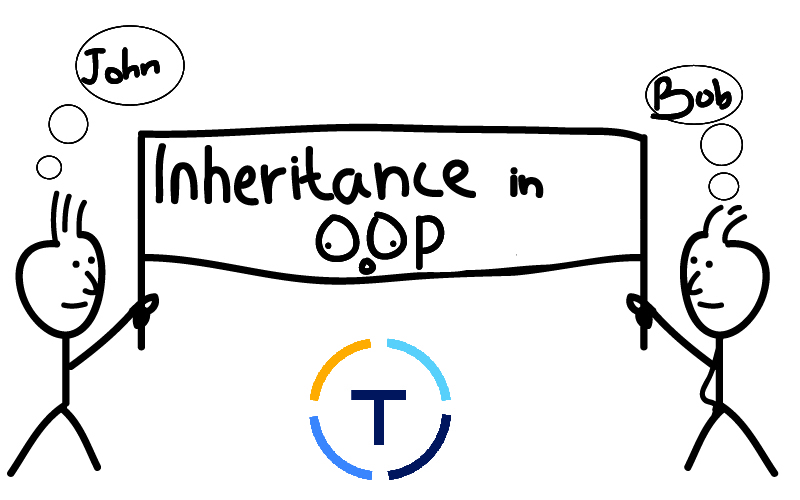 Next is a How To tutorial where we will talk about how to achieve inheritance in Java, its types and what keywords to use, followed by a very important section where we will discuss where to use which type of inheritance in real projects. Subscribe using the subscribe button up in the toolbar and we will notify you when the tea is ready. If you have any questions or suggestions, please leave in the comments below and also mark one of the options in the survey popup. I am a student and I always want to be. I read as a hobby, if it is not for exam and write because it feels good. Here I write about technology updates and personal development. Samsung Galaxy Fold: A Smart Phone or A TV Remote?